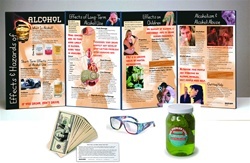 Give your audience a powerful, thought provoking presentation about the dangerous effects of alcohol with this kit. 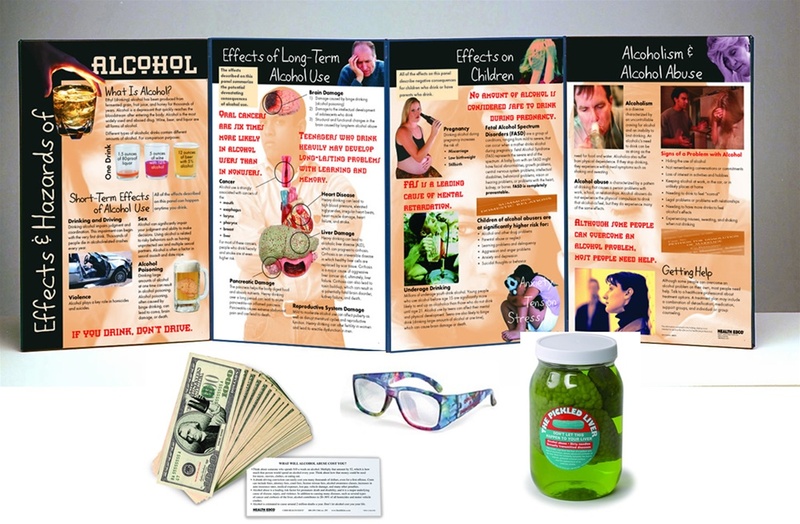 • Effect & Hazards of Alcohol Folding Display, which describes short- and long-term consequences of alcohol abuse, including organ damage and effects on children. • Drunk & Dangerous Glasses, which alter vision, perception,and balance, to provide a realistic simulation of intoxication. • Pickled Liver Model, a BIOLIKE 2 liver model that floats ominously in a specimen jar, emphasizing the effects of cirrhosis. • Alcohol Money, a reminder of the many personal and social costs of alcohol abuse.